Is the Church Deceived or Is It Not Fulfilling Its God Given Work? Are the miraculous gifts of the Holy Spirit still available to individuals in the church today? This question, often the centre of controversy and debate, carries enormous weight for Christians. If the gifts of the Holy Spirit have ceased, then many believers around the world are being deceived. On the other hand, if the gifts are still available, numerous Christians may be missing out on all God wants to accomplish in and through their lives, simply because they don't believe in the gifts available to them. Sadly, many false teachings have been promoted on both sides of this question. It's essential for Christians to study what the Word of God has to say about the gifts of the Holy Spirit and think carefully about the role of those gifts in their own lives. Steve Regnault provides a thorough, straightforward survey of relevant biblical passages that will enlighten readers and reveal the scriptural basis for the proper use of the spiritual gifts. 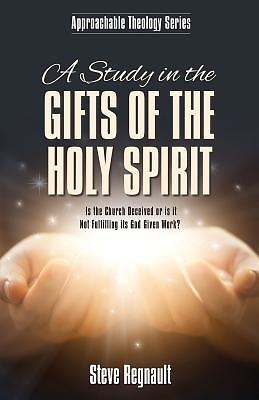 A Study in the Gifts of the Holy Spirit will be a valuable addition to the libraries of clergy and laity alike. For personal use or group Bible study, this is a book that will strengthen and inspire readers in their spiritual walk with God.